← Yes for a no-fly zone over Gaza! From the place he loved, in memory of Vittorio. Vittorio: (Vik, Victor, Victorio. 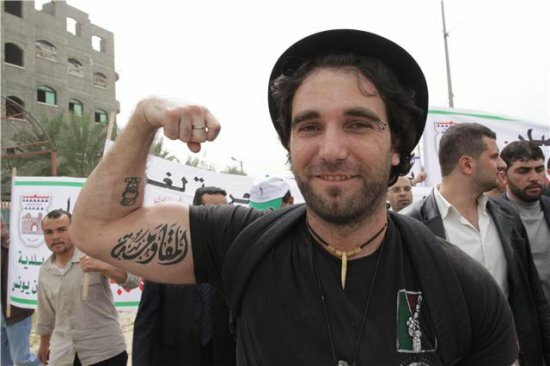 Full name: Vittorio Utopia Arrigoni) a Palestinian martyr, only a bit braver, who was abducted and gruesomely killed at the hands of an Israeli-salafist gang on 14 April 2011. Later it happened that he was not dead: he was still living in the hearts of all Palestinians. I can’t think of one reason that would make a “Palestinian” kill someone like Vittorio. A man who dedicated his life to fight injustice. A man who abandoned the luxury of Rome and came to one of the most turbulent regions in the world in order to expose Israeli atrocities committed against Palestinians. A man on whose right arm, the Arabic word for resistance “Moqawama” was brilliantly tattooed in big words. A hero in whose eyes there was a whole lot of unmistakable meanings of profound love, loyalty, hope, sacrifice, truth and courage. Vittorio has done for Palestinians in Gaza and the West Bank more than those who killed him. He was more Palestinian than many other Palestinians. Vittorio would have competed with Hamas rockets about who’s done more damage to Israel. He was such a nightmare for them that needed to be eliminated. Vittorio is a great disheartening loss to Palestinians, and Friday, 15 April is such an overwhelmingly melancholic day in the history of Palestine. Vittorio is a man who loved Gaza, he loved Gaza’s land, its sea, and its sky. Two things Vittorio obviously loved to do: to wave the Palestinian flag, and to sing “Onadikum” (I call upon you!). 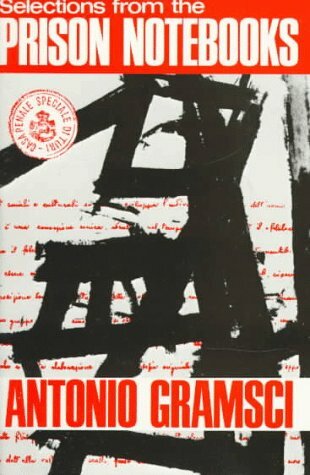 Wholeheartedly, Vittorio sang, “Onadikum” time and again. He poured his heart out as he sang it. It’s probably the only thing he could say so fluently in Arabic. Today, we took to the streets to tell the world how grieved we are at the loss of Vittorio, to convey a message to Vittorio’s family in Italy that in Gaza we are all Vittorio’s family. That We condemn in the strongest terms the shameful and outrageous act of abducting and murdering Vittorio by a bunch of criminals whom we disavowed the moment they had that vicious thought in their minds. We will not forgive those who betrayed Vittorio in the place he loved, the place where he felt most secure, where he would be angry to be treated like a foreigner. He warmly embraced our cause, so we will never stab him in the back. We’ll give him a warmer hug. Today, though ridiculous I only wished Vittorio were alive to live this very day with us and see with his own eyes how much we all love him. We are all Vittorios. Vittorio wanted to fight injustice, but life was too unjust for him to fight. ‎”The injustice of it [life] is almost perfect! The wrong people going hungry, the wrong people being loved, the wrong people dying!” John Osborne. Vittorio is one of the wrong people. This entry was posted in Diaries, Opinions. Bookmark the permalink. RIP Vittorio, what a shame. Vitorio’s loss is a loss to every single Palestinian on this planet. His soul will never leave our hears and minds. We should work together to get rid of this gang of extrimists. Anadykom will always remind me of him and his great work for Palestine as a whole. My deep condolonces to his family , friends and Italians. It’s the first time for me to hear his name, but this brought tears to my eyes. They killed him just like that? It seems like anyone standing up for the Palestinians and their basic HUMAN rights become marytrs just like the Palestinians on a daily basis. Every freedom fighter and human rights activist only becomes more famous after their death and I am sure this man is one of them. I am so sad to hear about this. Today’s world is sicker than SICK! 2 weeks ago Juliano Mer, now Vitorrio. I’m starting to get fed up by these ungrateful barbarians. Really. Its hilarious that you people blame Israel for his death…He was killed by your own people….blame yourselves for once!! are you that much of a coward to do so?